Voiding receivable or payable transactions can create differences when reconciling your subledgers to the GL. 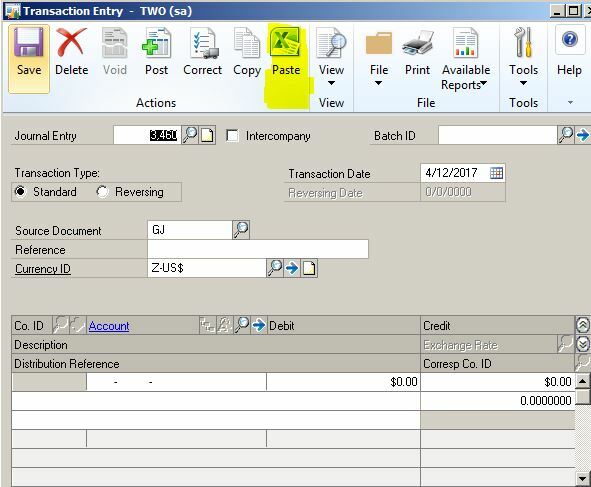 On the void windows for receivable or payables there are two date fields, one refers to the general ledger and one refers to subledger so be sure these fields are in the same month and year to eliminate any timing differences. For more detailed information about reconciling your agings to the GL you can refer to the this (more extensive) article. This report originates from the standard report Dynamics GP provides when you create them from the Reporting tools setup window and uses the same stored procedure. Also, I have defaulted and hidden the majority of the parameters that are never used. The original report has 22 parameters! To use this report you are required to have SQL reporting services (SSRS) installed and configured which creates a website that users can access and run GP reports from. SSRS is a component of Microsoft SQL, and Business Intelligence Development Studio (part of Visual Studio) is used to develop, design, and publish reports. After you download the RDL file below you will have to create a Development Studio Project or add it to an existing one, modify the datasource, then publish to your SSRS website. Currently, the datasource is pointing to the default instance of SSRS and the TWO database which can be modified to your environment. This report came from SQL 2008 and GP 2013. I have published this report for a few clients who are on GP 2010 as well. Have you every had problems where your reporting services report loses it’s header row as you scroll? Take a look at this video – It helped the look and feel of my reports significantly. Of all the issues that can come up from this error message, I have not found this one anywhere. It’s a combination of running the FRx launcher (not designer) and a report with rounding. The top is the error message and the bottom is what the launcher should be displaying. 1. Remove rounding on the row. 2. Create another catalog ID with no rounding. 3. Ignore the warning – the report viewer will launch after the report is done. In Dynamics GP when users run the general ledger year-end close some GL accounts may be deleted if the following criteria is met. However, I found it can be a variable allocation account. 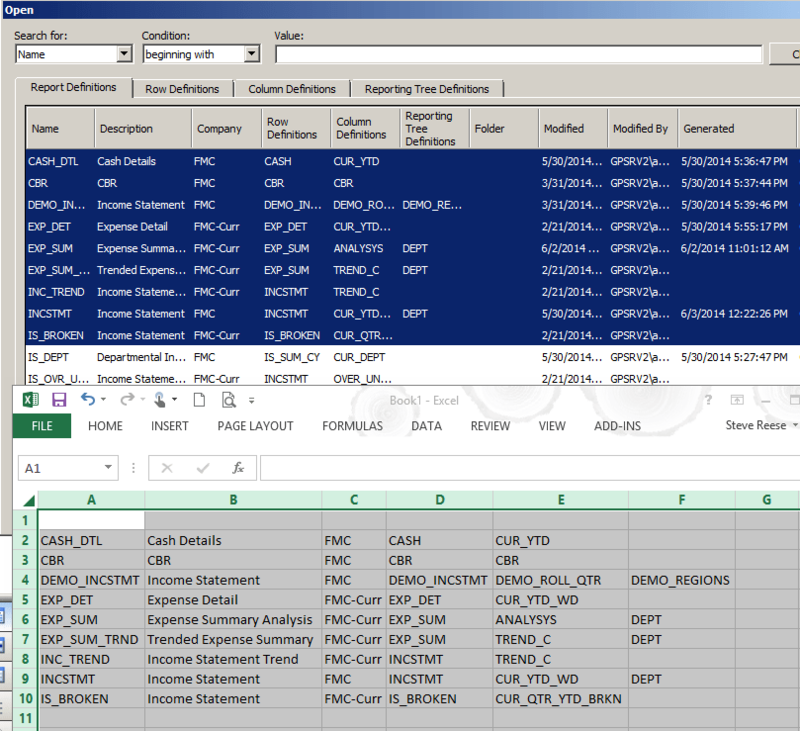 One Dynamics GP customer uses FastPath for security as well as to track GL account deletions and the accounting manager showed up on a deletion report when she doesn’t have access to the account or unit account maintenance windows. This caused a real problem during a sox audit. I restored data before the year-end close and I verified the accounts were deleted during the GL close process and I found the support document below. Recently, I tried to name a worksheet tab in excel from each group in SQL Reporting Services 2008. I found that the group name needs to be entered into the tablix member group called “PageName”. The first screenshot shows the result, notice each worksheet tab coincides with the group name. After building your group report, click on the group name (Row Groups) in the bottom left of your screen, then go to the properties window. If it’s not displaying like in the screenshot you can choose F4 or choose view>>properties window. In the properties window, it should display “Tablix Member”. It should not display “Tablix”, you might be at the properties of the whole report.